Featured in Jon Favreau’s new film Chef and named by Time as one of the top ten places to visit in Miami, Versailles Restaurant has been the hub of Miami’s Cuban community for over 30 years. We are pleased to announce the publication of The Versailles Restaurant Cookbook, which presents classic Cuban home cooking recipes from this famous Little Havana restaurant. Discover the story behind the cookbook in this Q&A with coauthors Ana Quincoces, celebrity chef and guest cohost of ABC’s The View, and Nicole Valls of Valls Group, Inc.—the family-owned and operated parent company for the Versailles Restaurant. Nicole Valls and Ana Quincoces. Credit: Michael Katz. Versailles Restaurant has been a Miami institution for over 40 years. What inspired you to make this cookbook? Our family felt that a restaurant that has been around as long as Versailles and that is as frequented by such patrons as Versailles merits a cookbook to memorialize our history and our recipes. We have always felt that Versailles not only belonged to us but to our loyal customers as well. This is a way for them to take a little piece of Versailles home with them, no matter where they live. Celebrities and civilians alike have raved about their visit to this restaurant. Can you tell us about your most memorable personal experience at Versailles? It is always an amazing treat to see how much celebrities love Versailles and how often they visit. We are always honored when a President or former president pays us a visit, but perhaps the event that left the most indelible impression in our minds was when a group of peaceful protesters marched down SW 8th Street towards Versailles after Elián was forcibly taken from his Miami family and was going to be returned to Cuba. The police were there armed with riot gear, and while they never had occasion to use them, it was still a very chilling scene that we will never forget. 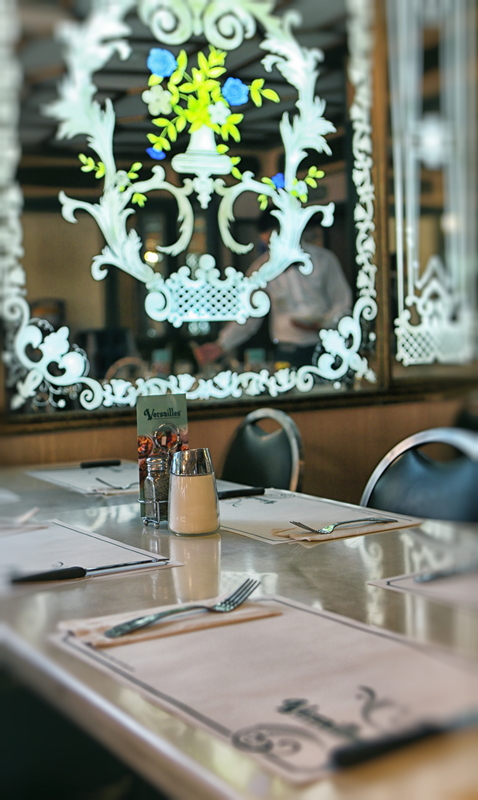 What’s your favorite meal to eat at Versailles? 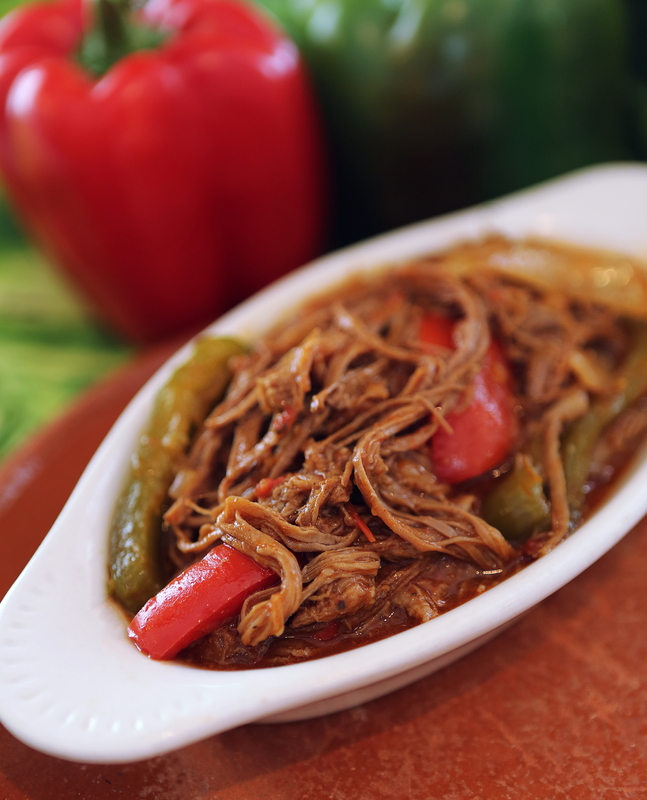 Ana loves the ropa vieja which she usually accompanies with black beans, rice, and maduros. Nicole’s is a toss up between the pastel de plátano and the camarones enchilados. But everything on the menu is delicious. Every time we eat there it’s a struggle to decide on just one thing. We often order several things and share. How did you become passionate about cooking? We think growing up in a Cuban household instills the love of food and cooking. For Ana, it was getting married young and trying to emulate her mom’s ability to nurture all those that came into her home. For Nicole, it was growing up in the restaurant business and seeing her family’s passion for food. It’s contagious. How did you decide which recipes to feature in this cookbook? It was difficult to limit the cookbook but we made sure to include all the traditional favorites, especially those that our patrons ordered again and again. Versailles is a very popular restaurant with the Cuban community. Has the community had a role or influence in this cookbook? Absolutely. Once our patrons knew that a cookbook was in the works, they gave us their two cents, recommending recipes to be included, stories to share, and even photographs. For readers and chefs new to Cuban food, what recipe would you encourage them to try first? We feel that picadillo is a great freshman Cuban recipe. It is easy to make, very traditional, and can be used in many other recipes like empanadas and pastel de plátano. Do you have one sentence of advice for aspiring cookbook authors? Tell your story, test your recipes, provide precise instructions and accurate pictures of what the finished product will look like. 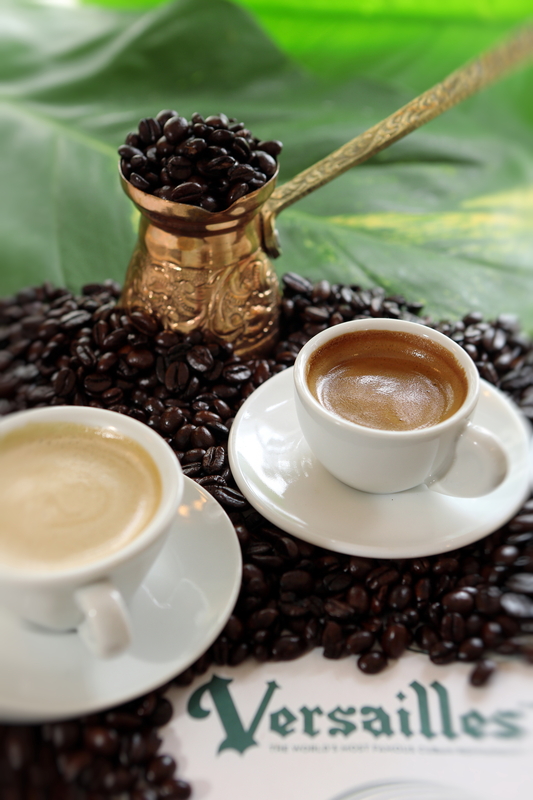 We already have our delicious La Carreta Coffee on the market for retail sale. We are working on getting some of our other favorites on the market as well, like our famous croquetas. Within the Walls and What Do I Love?